Due to its dependence on fossil fuel combustion and the fact that it is one of the least regulated anthropogenic emission sources, emissions from the marine transport sector contribute significantly to air pollution and climate change. The European Environment Agency last March published a report on the impact of international shipping on European air quality. The main objective of the report was to provide a comprehensive review of recent literature and reports, taking into account expert knowledge, on the maritime transport sector. The report addresses the sector’s impact on air quality and climate forcing in Europe and the executive summary of the report is presented in this article. Emissions from maritime transport in European waters constitute a significant share of worldwide ship emissions of air pollutants and greenhouse gases. The sector’s environmental impact is significant as emissions such as carbon dioxide (CO2), nitrogen oxides (NOx), sulphur dioxide (SO2) and particulate matter (PM2.5) from shipping occurring in European waters can contribute up to 10–20 % of overall worldwide shipping emissions. When considering all ship traffic from national and international shipping arriving or departing from EU-27 ports the contribution can be up to 30 % for CO2. The number of ships registered in the EU-27, combined with ships owned by European companies but registered in third countries, is substantial. 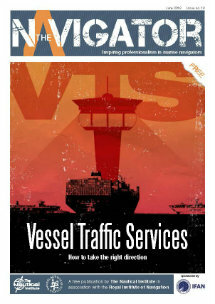 In 2011, about 19 % of the world merchant vessel fleet above 100 gross tonnage (GT) were registered in European countries. When taking into account ships registered abroad by European ship owners the European share of the global merchant fleet will be higher. Emissions of nitrogen oxides from international maritime transport in European waters are projected to increase and could be equal to land‑based sources by 2020 onwards. SO2 emissions in European waters will continue to decrease further from 2020 onwards due to legislation on the sulphur content in fuel. It is expected that this will also lead to a decrease in emissions of PM2.5. Shipping emissions can contribute significantly to local air quality problems in Europe, but the pan‑European knowledge and observation base needs to be improved to provide a more complete picture. The review of available observation data shows that there are relatively few measurement data available to attribute the contribution of ship emissions to local air pollution. Available data shows that the contribution of particulate matter from shipping to local concentrations can be up to 20–30 %, especially for fine particulate matter. Due to the limited availability of observation data, the attribution of ship emissions to air quality has been estimated by performing sensitivity studies using atmospheric chemistry models. Existing studies and model runs performed in support of this report show that there are several hotspot areas in Europe where the contribution of shipping can be up to 80 % for NOX and SO2 concentrations, up to 25 % for PM2.5, up to 40 % for secondary sulphur aerosol and up to 15 % for ozone (O3). Results from model studies confirm the potential for an increased contribution from the shipping sector to air quality in the future. An improved assessment at the European level is needed to better understand the potential impact on air quality in urban and coastal areas. A comparison of NOX emission trends between EU-27 land-based sources and emissions from international shipping within European seas is shown below. European legislation aiming to reduce the sulphur content of marine bunker fuels is improving local air quality in Europe. One study, highlighted in the report, showed the impact of sulphur legislation and economic trends on air quality levels in the port of Rotterdam. The trends clearly show a decoupling between cargo transported in the port and average measured and modelled SO2 concentrations in the Rotterdam area. This finding confirms results from earlier studies in the Mediterranean area that EU sulphur legislation is effectively improving local air quality. At the global scale, studies shows that present‑day ship emissions of both air pollutants and GHGs and their contribution to direct and indirect climate forcing indicate a net cooling effect. Emissions of greenhouse gases and air pollutants from international maritime transport contribute to climate forcing in a rather complex manner. This can come via a variety of processes such as the absorbing (leading to a warming effect) or scattering of radiation (leading to a cooling effect) as well as influencing cloud formation over oceans (cooling, the so-called indirect aerosol effect) and depositing black carbon on snow and ice (warming). The net warming or cooling effect is rather uncertain but most recent studies indicate that currently at a global level, the indirect aerosol effect (cooling) is more important than the other processes. The relative contribution of international shipping emissions (in %) on annual mean NO2 and PM2.5 concentrations in the year 2005 is shown below. The projected reduction of SO2 and PM2.5 emissions from international shipping will lead to a reduction of the direct aerosol cooling effect over Europe. There is a strong need for further harmonization of emissions information from the shipping sector across Europe. The review of maritime emissions inventories, revealed relatively large differences between emissions occurring in European waters. It has been found that a relatively large share of GHG and air pollutants emissions from international shipping within Europe is not accounted for in national inventories supporting key conventions. A consistent, European wide approach for monitoring, reporting and verification of both GHGs and air pollutant emissions from the shipping sector is key to address its contribution to climate change and air quality in tandem. The report shows the importance of taking into account the dual impact of emissions from international shipping on air quality and climate forcing. Therefore, an integrated measurement, reporting and verification (MRV) system covering emissions of air pollutants and GHG will contribute to provide better information on the co-benefits and trade-offs on related policies in Europe. focus on sectors at specific geographic areas over a given time.